Host Scott Davis of The Missing TV introduces you to the cases of The Martinez family out of Reno, NV and the Ernst Family out of Ardmore, OK. Also he will revisit the Dr. Stacy Safety Segment where Ben and Karen Gibson will demonstrate backpack safety. Ivan, Jakelyn, Megan, and Tyson were allegedly abducted by their mother, Claire Tourand. www.missingkids.com. An FBI Unlawful Flight to Avoid Prosecution warrant was issued for the abductor on July 14, 2009. They may travel to Mexico. They may be traveling in a white 1998 Mercury Sable with Nevada license plates 369-SDH. Joseph and Nicole were allegedly abducted by their mother, Natalya Ernst, on May 19, 2008. 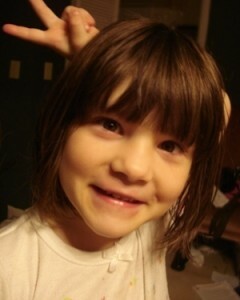 An FBI International Parental Kidnapping warrant was issued for Natalya on February 18, 2009. They are believed to be in Russia. Natalya may use the alias first name Natasha and the alias last name Sopova.